What is “Strategic” Counselling and Intervention? WHAT IS REALLY HAPPENING TO ME WHEN A RELATIONSHIP ENDS? The feeling of a break up can feel very close to the feelings of abandonment and that is one of the reasons why break ups are so painful. Today I will like to share with you a lesson in biology to help normalise a lot of what you may be going through, because I know for many of you the emotional turmoil that follows a break up can make you feel like you are going crazy. You may even feel out of control and behaving in ways you would never expect. You may also be experiencing feels of depression and anxiety, anger, and loneliness and you may be questioning if this is all normal? What Happens When a relationship ends? Essentially there is the experience of abandonment and rejection. Abandonment is a very real and very painful experience, when someone we love abandons us a whole bunch of “stuff” comes to the surface. We feel hurt, rejected, devastated and alone, and often this comes as a total shock. It may even feel like our whole world is falling apart, and that is because a break up can feel like “abandonment” which actually sets off a series of physiological responses in our body that most of us are unaware of. When we feel abandoned /rejected by someone we love, it triggers a part of the brain called the amygdala; this is where our “fight/flight” response is activated. 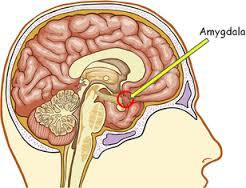 This part of our brain gets activated any time we feel some kind of threat. When it is activated, we go into a “hyper- intense” state of awareness. This is actually an unconscious survival response. After a break up, we go into a “fight” response in order to best equip ourselves to eliminate the threat. The threat, of course is the possibility of losing the person we love forever. In fact, just the very thought of losing the person we love is enough to make you panic, which is why anxiety is so common after a break up, and why many of us resort to what seems like ‘crazy behaviour” like calling and texting our exes over and over again. Begging, pleading, crying, and even promising to change things about ourselves, or re-negotiating the type of relationship we are willing to having, these are all common responses. In other words many of us are willing to do just about anything to get our “love” back. We find ourselves trying to preserve the relationship at all costs. This can be a danger zone, and what I mean by that is that in such a state of vulnerability many individuals find themselves violating their values, dreams, desires and needs just to stay in the relationship and ease the fear or pain of loss. Because the pain of LOSS can be so real and so devastating that many people will do just about anything to avoid it. We are also trying to avoid change, because human beings really don’t like change. Change means a loss of certainty which is another one of our greatest human needs. Any change, especially one as painful as losing the person you love leaving will introduce a great deal of UNCERTAINTY into your life. Losing the person you love often feels like having your world turned upside down, even if the relationship was not a good one to start with. “Survival “ responses such as begging, pleading, crying, re-negotiating the relationship are all desperate attempts to avoid the pain of loss, loss of love , loss of connection, loss of certainty, and many other losses I will not get into here. Loss equals pain and we are neurologically wired to avoid pain and seek pleasure. Our brain will naturally gravitate towards the path of least resistance. The path of least resistance involves keeping things the same even when it is not necessarily the best thing for us. As long as things are the same, everything appears safe, comfortable and familiar. The “long run” is not what your brain is concerned with when your nervous system is responding to the threat of loss. The only thing it’s concerned with is keeping things the same and responding/reacting to NOW. When a relationship ends we can argue that the reason we feel such strong emotions is because we love our partners so much, and while that is certainly true, there is so MUCH MORE going on behind the scenes. I wrote this article to help those of you who are really confused about your behaviour, thoughts and feelings after a break up. I want to help you understand why you feel such strong emotions and strong urges to reconcile your relationship after a break up. It is NOT just love that influencing your behaviour but biology too. Loss triggers a biological response in your mind, which then sends chemical responses to your body, which then causes the hyper- intense state of panic and desperation. You are literally in a “state of survival” after a break up. You have a powerful set of chemicals and hormones being triggered and released in your body, which is influencing how you think, feel and act which helps explain why you do things that you otherwise not normally do. I wrote this article with a somewhat different flavour to how I would normally write because I wanted you to understand that LOVE is not meant to be painful or cause you PAIN and in fact if you are a follower of my blogs you would know that LOVE can never be taken away from you, because love is who you are and what you give, it is something that you do and NO ONE has the power to take LOVE away from you. This is not to deny that a breakup and the loss of someone you love can be painful, it is, and there is no denying that. This article was written to help you understand that the pain associated with a break up is varied and complex. The hurt, the confusion, the conflict, the pain, the sadness, and many of the other common emotions experienced after a break up can be helped. If you believe you need some help through this process please feel free to reach out to me. It has been my life’s passion to pass on what I have learnt both personally and professionally and I would love to help you on your journey too.